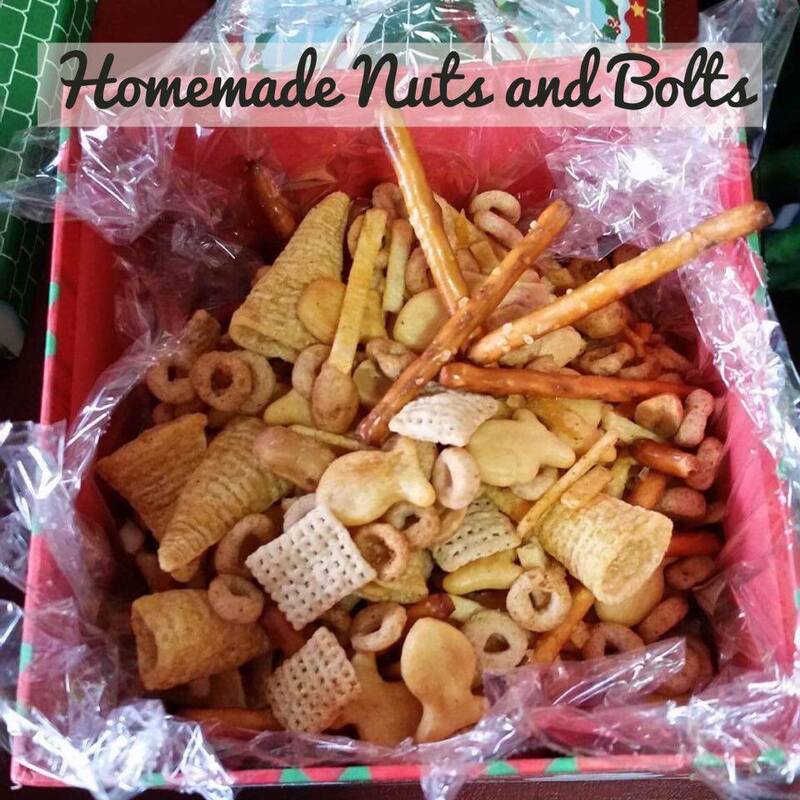 My sister always makes nuts and bolts for Christmas gifts. This year we planned on getting together to make them, but the snowfall we were blessed with made it impossible for us to do so. She sent me the pin on pinterest so we could still do, just in our own kitchens. I pinned it onto the Two Hens - celebrating Christmas board on our pinterst page. When I first read the instructions, I thought the lady was crazy, but trust me, follow her instructions, it will save time (and mess). Melt butter in microwave and then whisk in spices, lemon juice and worcestershire sauce. Pour over dry ingredients in the bag, twist bag closed and juggle again until well mixed. Divide into 2 roasters. Bake at 250 degrees for 45 minutes to an hour, stirring well every 15 minutes. (Set timer!!!!) Bake until everything appears dry. Allow to cool completely before enjoying!!! I made this to add to my goodie bags that I made up for gifts. I bought the cutest boxes at the dollar store for this. I lined the boxes with plastic wrap before filling them. My sister painted some new terracotta pots to look like Santa's coat and put a cellophane bag filled with nuts and bolts in them for her neighbours. So cute! And so easy and festive!! !